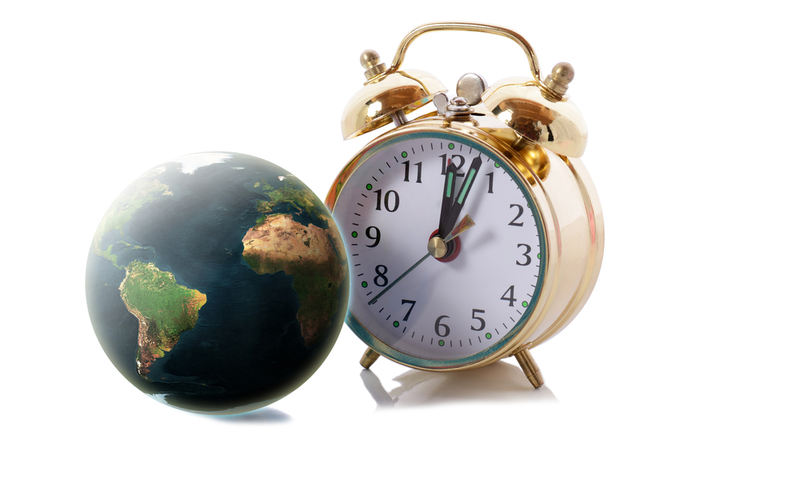 Long-distance air travel crossing several time zones in a short time causes jet lag syndrome (also called Rapid Time Zone Change Syndrome) upon arrival, because our circadian rhythm established at our origin is out of sync with the day-night cycle at our destination. Symptoms include feeling sleepy, hungry and alert at the wrong times. This affects our social life and ability to work or exercise. Fortunately within days our internal clock synchronizes with the environment. The more time zones we cross, the greater the expression of the syndrome and the longer it takes to overcome. 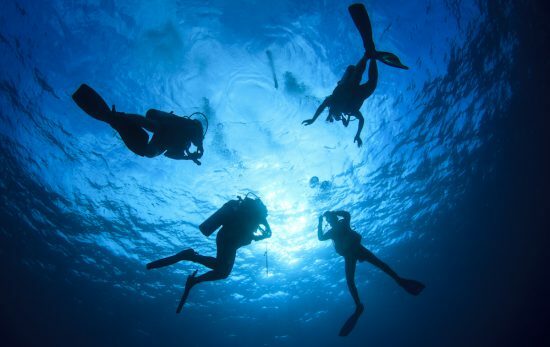 Divers often travel to faraway dive locations and may be affected by jet lag for the better part of their trip. The jet lag may affect one’s ability to dive safely; therefore, divers need to know how to minimize its effects. In preparation for the trip, try to move your bedtime gradually to what it would be at your intended destination. When travelling east where night comes sooner in comparison to your location, take one day to go to bed one hour earlier than you usually would for each time zone you change. To make it easier to fall asleep early, avoid coffee, tea, chocolate, alcohol and exercise three to four hours before your new bedtime. Get up earlier in the morning and try to catch some sunshine to help your body adjust. When travelling west, go to bed later and stay in bed longer before the trip. A loss of sleep during flight exaggerates effects of rapid time zone change. However, falling asleep during flight may take some help. During sleep, the body temperature falls and activity of some hormones change. This usually occurs at a similar time every day, but these activities are prompted by changes in surrounding light and noise. With the onset of dark, the pineal gland in the brain starts secreting the hormone melatonin, which is also known as “The Hormone of Dark.” Melatonin helps the body fall and stay asleep, but it is not strong enough to do it on its own. To get a good sleep during the flight, avoid excessive consumption of alcohol and caffeine that may keep you alert. Use earplugs and blindfolds to reduce noise and mimic darkness. If this is not enough, you can use 0.3 to 1 mg of melatonin 30 minutes before bedtime. Upon arrival at destination stay active during the daylight and go to bed in the evening at your usual time. 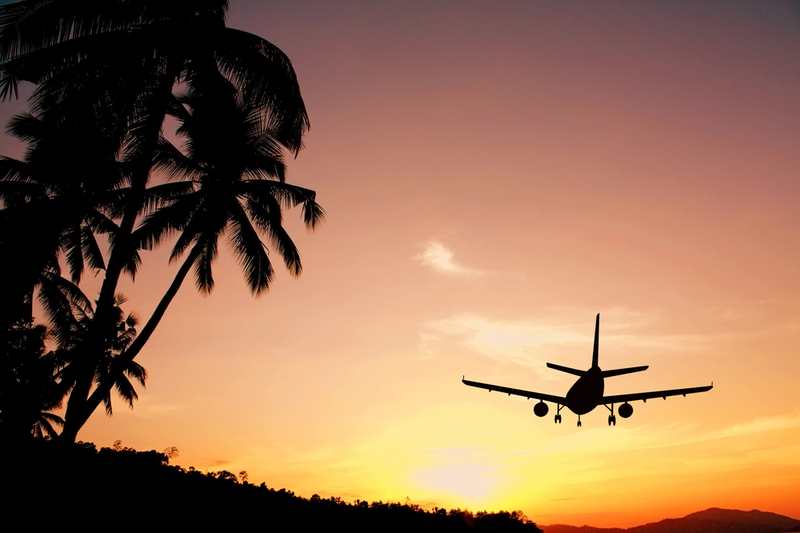 You may consider taking melatonin at your bedtime for the first few days at your destination. In the morning, go out in the sunlight to help your circadian rhythm to adjust. Of course, if you travel from a geographic area with summer to a geographic area with winter, this may not be possible; instead, try starting your morning in a gym or swimming pool. Melatonin is an over-the-counter product that is classified as a food supplement, and therefore is not regulated. The amount of active hormone in one pill may slightly vary from what is declared on the box and some people may need more to feel effects. However, too much of melatonin may have opposite effects and break your sleep (a good rule of thumb is to avoid taking more than 3 mg at once). Too much melatonin at one time may cause headaches, nausea, dizziness or irritability. Melatonin is considered nonaddictive and safe for a short-time use. However, it can interact with various medications, including anticoagulants, immunosuppressants, diabetes medications and birth control pills. If you have any health conditions, you should check with your doctor before using melatonin for any purpose. 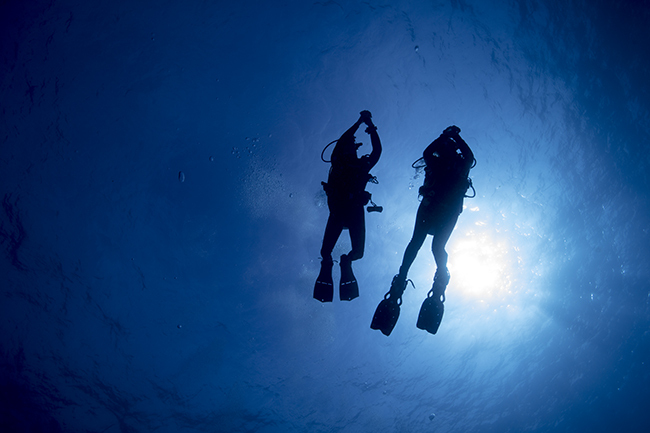 Diving on the first day at your destination is probably not a good idea after a long trip. Take some time to rest, have a light meal and drink plenty of fluids. To be well rested for diving next day, you may take melatonin at the bedtime. Generally, it is advised not to engage in activities that require alertness, such as diving or driving, for four to five hours after taking melatonin. 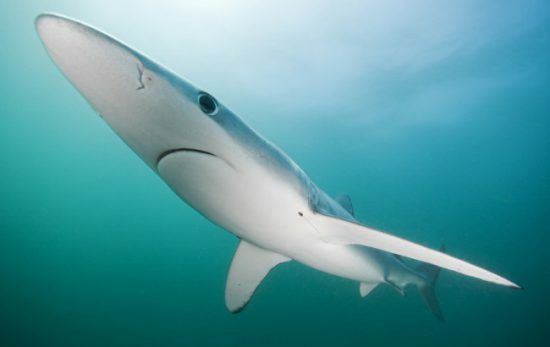 This means, if you arrive at your destination late at night and take melatonin after midnight, you should probably abstain from the first morning dive. 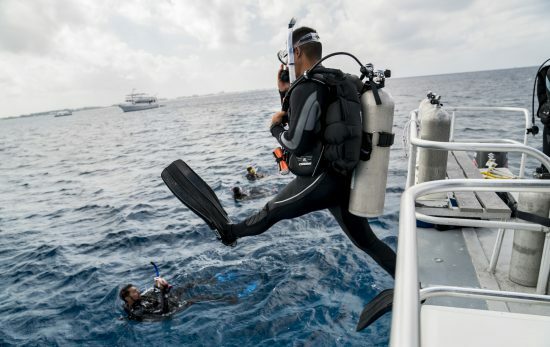 For more DAN safety research, visit The Dive Lab blog. 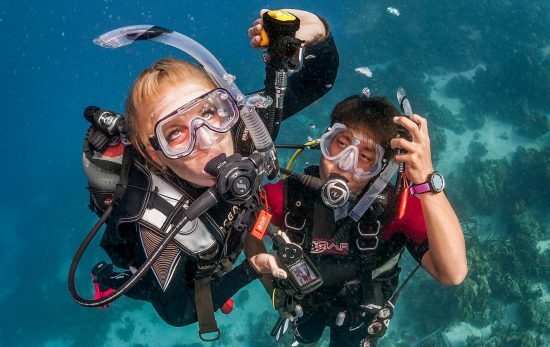 Not sure where your next scuba diving trip will take you? 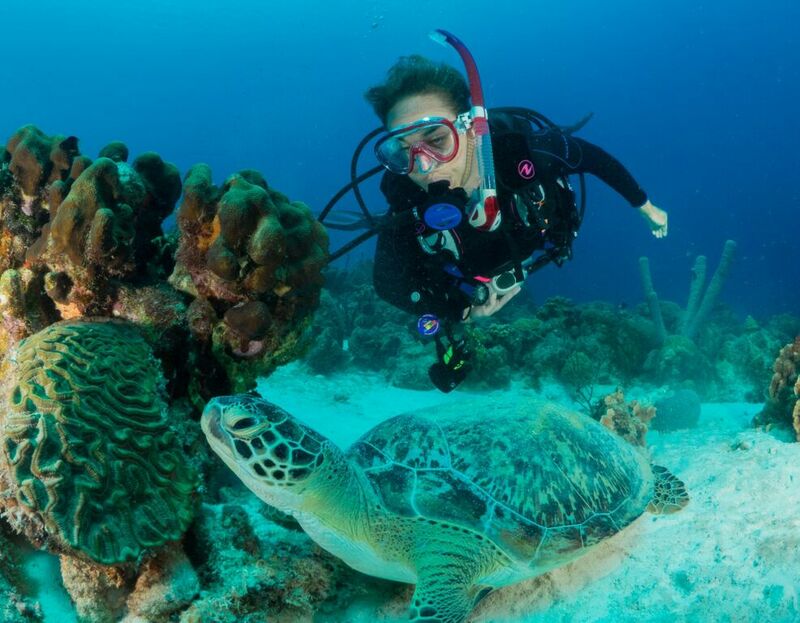 Discover inside information on dive destinations around the world with Vacation Spotlights.